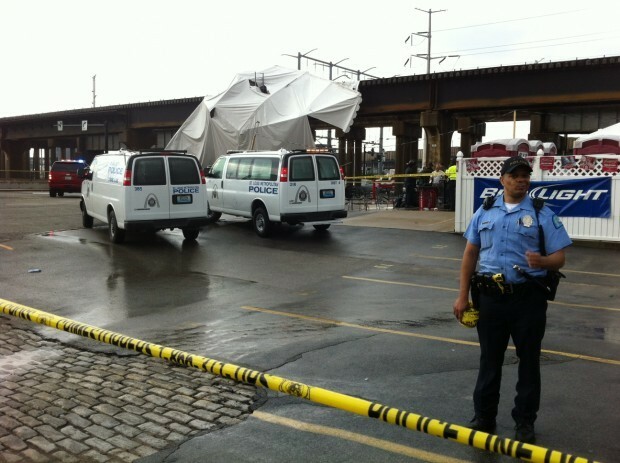 At least one person has died and dozens were injured when a beer garden tent collapsed in a storm Saturday afternoon, reports the St. Louis Post Dispatch. A line of strong storms passed through St. Louis just before 4pm. Kilroy’s bar, south of Busch Stadium at 720 South Seventh Avenue had set up the tent as a beer garden. Reports indicate that the tent was permitted and inspected, but the investigation continues. If you or a loved one was injured in this incident, please call or contact us at hendricksonlaw.com to discuss possible claims. Missouri’s doctors are policed by the Board of Healing Arts. And Missouri’s Board is among the most lax in disciplining physicians, according to a recent St. Louis Post Dispatch article, Missouri Secretive, Lax on Doctor Discipline. The Post recounts a story all too familiar to those of us who spend our professional lives prosecuting medical negligence actions: doctors who perform the wrong surgery, who falsify records to cover it up and do so again and again, simply aren’t subject to any meaningful discipline. Suspension of a doctor’s license in Missouri is almost never done, and then usually only when another state’s board has suspended the doctor’s license to practice. In another article, “Deviant Doctor got OK to Work in Bootheel” the Post describes a truly horrendous situation in which a physician, already on probation for improperly dispensing prescriptions, merely had his probation lengthened after he admitted to the board that he was having improper sexual contact with his patients. It was not until the physician, Martin McDonald, was charged with sexual abuse by Dunklin County prosecutors did the Board take action to suspend his license. Missouri patients deserve real governmental oversight of all professions, but particularly those whose actions can cause grave harm and death. The process of “disciplining” doctors is long and complicated and allows physicians with known problems to continue to put their patients at risk, with no warning to the patients or the community. What is “Discovery” and What is the Personal Injury Client’s Role? After your attorney has filed a lawsuit for you, you’ll undoubtedly hear the term “discovery.” What is “discovery?”Discovery is the phase of the litigation before trial. This is when both sides try to “discover” everything they need to about the other side’s case–how the negligence occurred, how the plaintiff was injured, the nature and extent of the injuries, extent of wage loss, defenses etc. Whether your case is a simple personal injury suit involving an auto accident, or a more complex case involving medical malpractice or product liability, the basic process is similar, involving the same steps.Usually, the first thing that will occur is that the attorneys for all parties will exchange written discovery.Written discovery will usually consist of one or more of all the following:Interrogatories: These are written questions that you and your attorney will answer together. Your attorney will usually send these questions to you or have you come into the office to review them. These questions are answered under oath and under penalty of perjury. Usually, but no always, these questions will ask about basic information such as identity of your medical care providers, amounts of your bills, whether you’ve given any statements, etc.Requests for Documents: Fairly self explanatory. These are requests for your to produce documents such as medical records, tax returns and pay stubs to prove lost income, medical authorizations to allow the defense to gather their own copies of your medical records, and things like photos and Xrays.Requests to Admit: These are written statements which a party must admit or deny. If the party admits the statement, then the requesting party is relieved of having to prove this statement at trial and the answer can merely be submitted to the jury. Requests to admit are often used to narrow the issues in a case and establish basic facts.Usually the next stage of discovery involves depositions. A deposition is a question and answer interview conducted by the other party’s lawyer. Testimony is taken and recorded by a court reported and transcribed into a booklet for later use. Depending on your jurisdiction, this testimony may be directly admissible in court. A deposition may be the only testimony you give in a case and it is important that you are properly prepared to answer the type of questions that will likely be asked.In many cases, the attorney’s will produce expert witnesses to give testimony on certain aspects of your case. The testimony of a treating doctor as to how your injury happened and the type of medical care you received to treat it is one type of expert testimony. 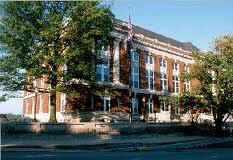 In some cases, you may have expert testimony on things such as accident reconstruction or product defects. In a medical malpractice case doctors or other health care providers will give testimony as to how the defendant was negligent.These are the basic steps of the discovery process.If you are in need of an attorney for a personal injury, auto accident, medical malpractice, wrongful death or product liability case, please call Todd N. Hendrickson for a free consultation.